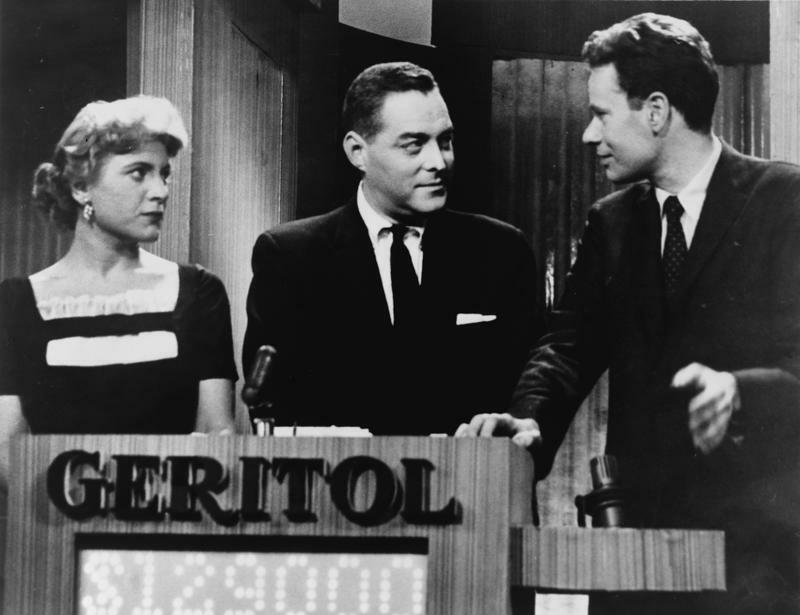 Twenty One host Jack Barry (center), with contestants Vivienne Nearing and Charles Van Doren. It’s one thing to cheat a little when you’re playing a board game with your friends, but it’s a whole other ballgame if you’re playing a game show where there’s real money involved. Here are some wild ways that contestants on game shows tried to screw the system, as well as some times when the game show itself was playing dirty. In 1956, a six-week winner on the show Twenty One was overthrown by a new contestant, who in turn beat all his challengers for three months. Then it came out that the show was completely rigged. The first winner had been given all the answers and then made to take a fall, who then was also given all the answers. The scandal prompted Congress to pass a law that made quiz-show fixing illegal, and inspired a Robert Redford movie called Quiz Show. In 2012, a contestant was disqualified because of her Southern accent. The answer was “Seven Swans A-Swimming,” and she did not pronounce the “g.” The most ridiculous part was that the “g” was already up on the board, so she clearly knew it was there, but her abbreviation ended up costing her $3,850. On the British version of this classic show, a contestant actually won the full prize. However, producers were suspicious, and Charles Ingram had to go to court, where it was revealed that his wife and a friend coughed to let Ingram know what answer was correct when he read them out loud. He lost his prize and had to resign from his job in the army. Game shows need to do good background checks. A man who called himself “Patrick Quinn” won nearly $60,000 on Super Password in 1988, but a viewer recognized him as a man wanted in three states for faking his wife’s death to get her life insurance policy. When he tried to collect his game-show winnings, he was arrested. In 1984, Michael Larson went on the game show Press Your Luck, where a giant 18-square board spun around until the contestant yelled for it to stop, hoping that the square they landed on was a good one. Larson figured out a pattern. He ended up winning over $100,000. Larson technically wasn’t cheating, so the show had to pay up. Not many shows get caught cheating before they even air, but this one did. It was to feature super-smart kids answering questions, but a contestant’s parent sent a letter to the FCC, saying that the Fox show was giving children the answers in advance to rig the whole game. The show was cancelled in 2010.